10+ gorgeous, trending and stunning blouse designs! Once you have selected your dream lehenga, the next crucial step is to decide which blouse design you’ll opt for! Why? A large part of the bridal lehenga’s appeal lies with a unique and beautifully styled blouse adding to the overall look. 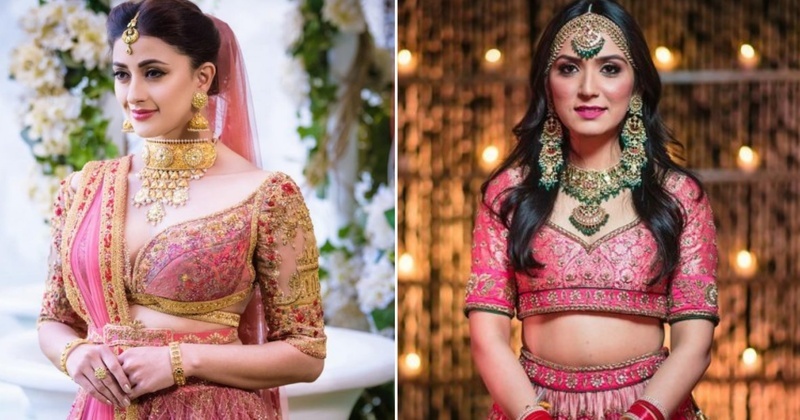 Confused about what sort of blouse you wanna wear on your mehndi, sangeet or on the shaadi day? We understand it can be quite overwhelming to get lost in all the stunning designs the internet has to offer. Well, we have made the search easier for you. Image Source - Shweta Poddar Photography. Did you find your favourite pick yet?